If you’re planning to upgrade your AR-15 stock or build your ultimate AR, it is critical to choose the right buffer tube kit. 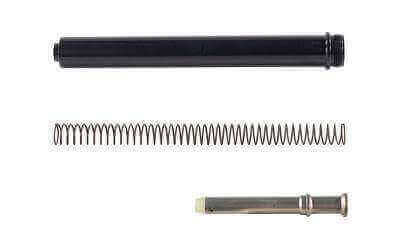 AT3 Tactical provides higher quality mil-spec rifle fixed buffer tube kit from Luth-AR. Not sure if you need Mil-spec or commercial buffer tube? The below image shows the difference in dimensions. For more information, please read our article, “Mil-Spec vs. Commercial AR 15 Buffer Tubes – Which One is Better?“.